Do you need to catch your breath? as the best parent we can be. it can leave us all breathless. I highly recommend- so helpful. I have truly up-leveled my awareness, self-care and mindfulness practice over the past few weeks (since joining). I Can’t thank Christina enough. The group members have been awesome too. A really great investment for yourself! Members of the Breathing Space are currently working through some important processes, so can't be disturbed. We'll be opening the doors to new members in June, 2019. ​ in the time you have. The Breathing Space membership opens to new members a few times a year. To find out when you can join and take part in the spiritual tools, conscious parenting practices, workshop and support within the program please leave your email below! As soon as the program is open to new members, we'll let you know. Love and light! Conscious parenting basics, and so much more. BUT also weekly Group Meditation and Energy Offering Sessions every Sunday. As well as challenges and consistent, present support for whatever challenges you are facing at the moment. be part of a project focused on creating EASE, FLOW, and MINDFUL PRESENCE within your home. Through the live support of an active Facebook Group and the constant toolbox of a Members only Tool Box you will have what you need when you need it. When you join you will be given password protected access to the Member's Only Tool Box, which will feature an ever growing library of recorded workshops, mini courses, Mp3s, Meditations, Challenges and More covering soul-utions for Spiritual, Parenting and Self Development challenges. - Manifesting Joyful Parenting; A workshop on using the law of attraction to create your ideal home life. - Energy workshop; Simple Energy work processes for you and your kids. And then there's always coaching. Not only is the group small and intimate enough that you will feel comfortable to share your challenges and vulnerable moments so that I can truly support you, but also you will be given special, and highly reduced, offers for coaching and opportunities as members. Parents or parents to be who want to be more than the Role of a mom or dad, but to be themselves, the best versions of themselves... parents who want to build a lifelong relationship with their child (children). Parents, or parents to be, who are passionate, or simply curious, about Spirituality and Self development. We'll be covering it all from Mindfulness to Visualization, to Spirit Guides, Crystals, and the Law of Attraction. Parents who want their kids to know themselves deeply, to have confidence in their own inner connection and inner world, as well as pass on empathy, spirituality and a sense of connection with the universe. Parents, or parents to be, who crave a deep connection with their kids that goes well beyond playtime. We're talking understanding them from a heart connection and supporting them from the inside out. Because this is a new program and the resources will be being created over the next year mostly live, in group or on demand, and because your presence is so valuable and imperative, giving me the motivation, feedback and platform to create this in the first place... I'm making a special "founding member" opportunity until June. The program will officially be made public as of JUNE, 2019 at the monthly rate of only $35 a month. Shall we, together create an even deeper sense of community and support as well as deeply dive into the resources I've been gathering for over 16 years? 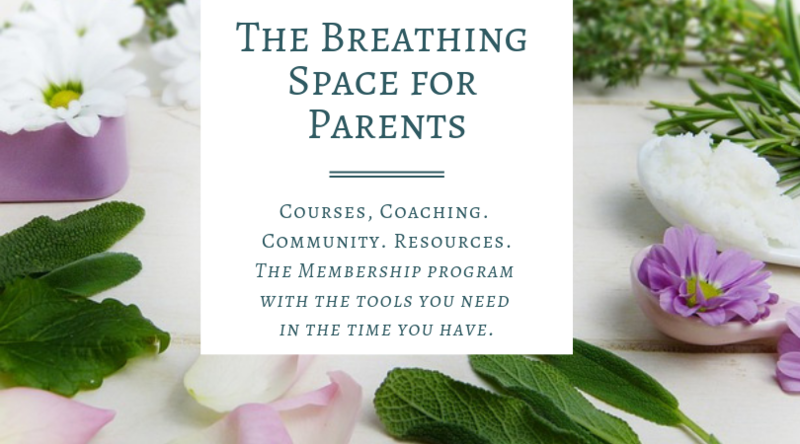 Spiritual Tools, Mindfulness tools and Conscious Parenting tools... all for parents on the run.